Something interesting happens here on the Lower Ottawa in the fall. We get schools of Emerald Shiners that are acres big in some areas. Most people think sturgeon only eat carrion off the bottom but that is not true. Nature is opportunistic and when the schools of minnows get so thick they can only ‘roll’ together to move anywhere, some sturgeon will move up off the bottom and suspend right in the middle of the schools while they vacuum up dinner. That’s where us unsuspecting musky guys come in. When you snag a sturgeon it is pretty much always in the middle of the body. When you set the hook the fish doesn’t move much at all and it feels like a lot of weight. This feeling persists and you pull sideways on a fish that physics is not going to make easy for you to get to the boat. After 30 seconds there is still a lot of weight and you haven’t made much progress so you are getting really hopeful. After 60 seconds it is finally starting to dawn on you that although your fish feels heavy it just doesn’t feel right. And then the disappointment that it isn’t a giant musky. 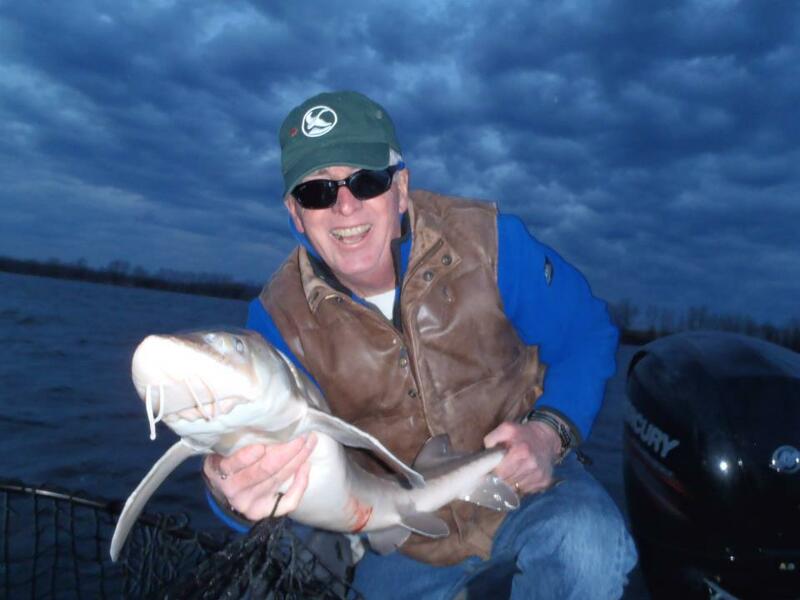 Ask you can see by the smile on my musky mentor, Ken’s face he really isn’t that disappointed. 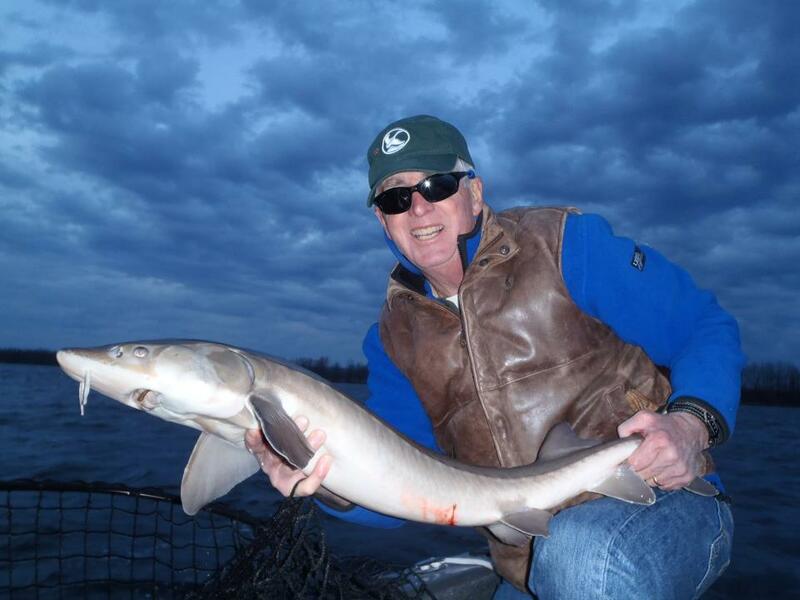 Even fewer people get to hold a sturgeon than a musky. Two thirds of the world sturgeon populations are listed in jeopardy or peril. ← Ever hand bomb a 30 lb musky before?